You can put in 4K, have fancy lighting, create the most realistic faces, but there’s only one beautiful game: football. Or soccer, to you Americans, but it’s really called football. By extension, Football Manager is the most beautiful videogame, and to celebrate it, The National Videogame Arcade are putting on an exhibition in its honour. Football Manager is sort of a strategy game, right? Well, here’s the best strategy games on PC. 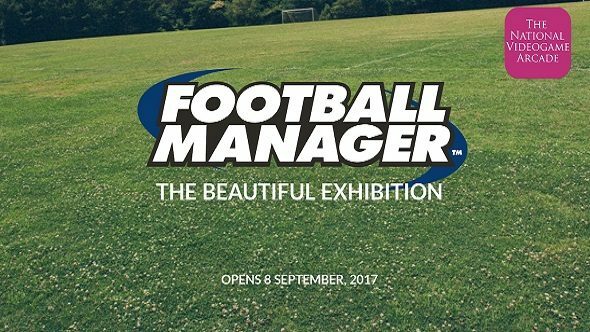 Opening September 8 2017 at The National Videogame Arcade in Nottingham, the event is called Football Manager: The Beautiful Exhibition, and is going to include all sorts from the archives of Sports Interactive, the developers of Football Manager. Design documents, merchandise, and research schemes will all be on show for you to peruse. There are also going to be interviews for you to check out that span Football Manager’s 25-year history. If that sounds like the sort of event you’d be interested in, you can sign up for updates over on the promotional site. The National Videogame Arcade is a pretty rad place, anyway.